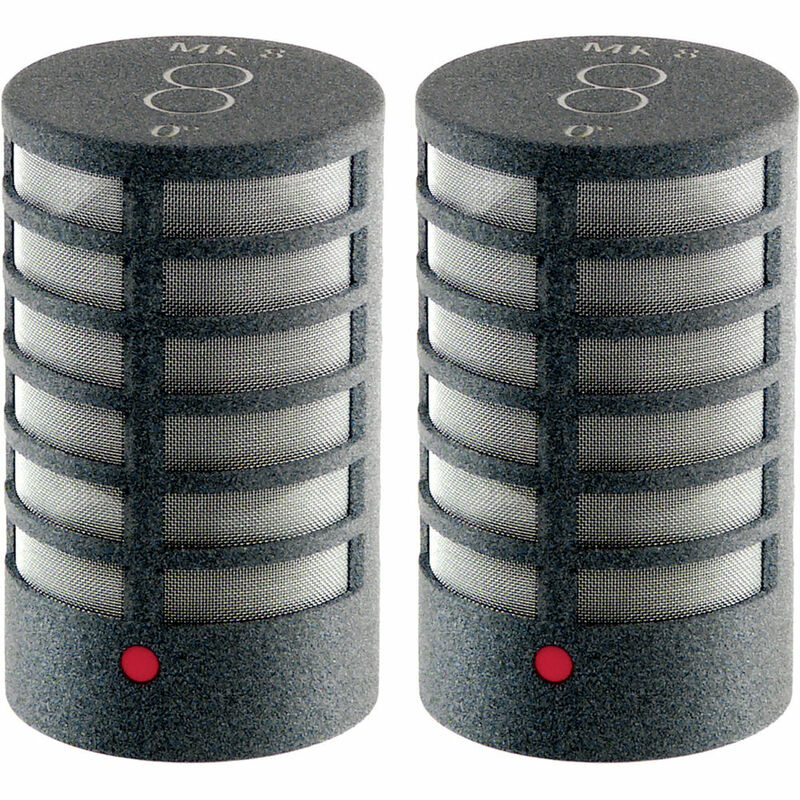 The matte gray MK 8 Microphone Capsule from Schoeps is a true dipole (bidirectional) transducer, operating with a single diaphragm. Its main axis is at a right angle to the capsule, and is marked at 0 and 180° with a red and a black dot, respectively. Both the microphones that are included are phase-matched. When M/S stereo recordings are made, the 0° axis normally faces to the left as viewed from behind the microphone setup. The 8 engraved on the top of the housing should be aligned on its side so as to appear horizontal, at a precise right angle to the mid capsule. The microphone should be placed directly above or beneath the M channel microphone, and as close to it as possible. The sound quality of this capsule is clear and neutral. The frequency response rolls off above 16 kHz. 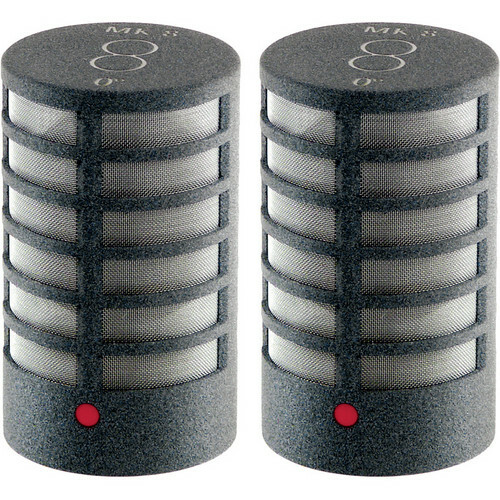 When this capsule is used as a spot microphone, care must be taken to avoid picking up early reflections or unwanted direct sound from its rear, since sound arriving from the back is picked up with full level but reversed in polarity. This could result in partial cancellation of the intended sound, which can lead to comb-filter effects at higher frequencies. The directivity index of a figure-8 pattern is the same as that of a cardioid. The figure-8 has a rear lobe equal in sensitivity to its front lobe, and this exactly makes up the quantitative difference. However, in normally reverberant settings, the sound reaching a figure-8's rear lobe will be delayed and dispersed to a considerably greater extent; the reflected sound will typically be subject to far more high-frequency absorption as well. Note: This capsule is delivered with a hand-signed Certificate from the factory. Matching is of frequency response and sensitivity within exceptionally low tolerances. Box Dimensions (LxWxH) 7.0 x 4.9 x 2.1"